Six of the eight Democratic candidates vying to replace Gov. Bruce Rauner in 2018 met at Rainbow PUSH headquarters Friday night to convince voters they would do a better job of running the struggling state of Illinois. “We’re living in trying times,” the Rev. 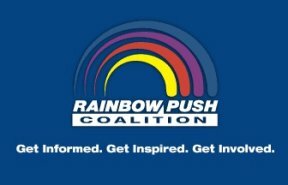 Jesse L. Jackson, Sr. said, opening the forum on the third day of the Rainbow PUSH Coalition and Citizenship Education Fund’s 46th Annual International Convention. “Illinois has the highest rate of black unemployment in the nation.” The six candidates agreed on key issues including a progressive income tax, campaign finance reform, increasing the minimum wage, the need for a more equitable state funding of education, opposition to public school vouchers and cracking down on gun violence and trafficking. The only disagreement was who would work harder to implement reforms or fight ineffective and unfair policies.